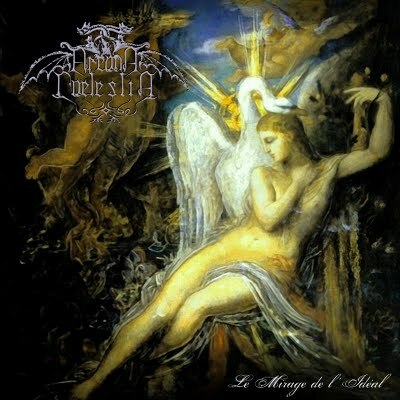 After the brilliant feedback of the previous “Ubi Secreta Colunt” the mystical creature Arcana Coelestia comes back with “Le Mirage de L’idéal”, a superb merging of dreamlike guitar riffs, evocative singing, but without fleeing away from the funeral doom’s heaviness. Arcana Coelestia is one of the three creatures of MZ, mastermind of Urna and Locus Mortis, this chapter features also the collaboration of Sephrenel of Absentia Lunae as bass player. This new opus will become a dangerous trip for those into Primordial, Anathema, Shape of Despair, My Dying Bride, Summoning, Novembre, Esoteric and Alcest.